MENLO PARK, CA—In response to criticism about the social network’s failure to address the spread of falsehoods and offensive content on its site, Facebook apologized Thursday for giving Mark Zuckerberg a platform. 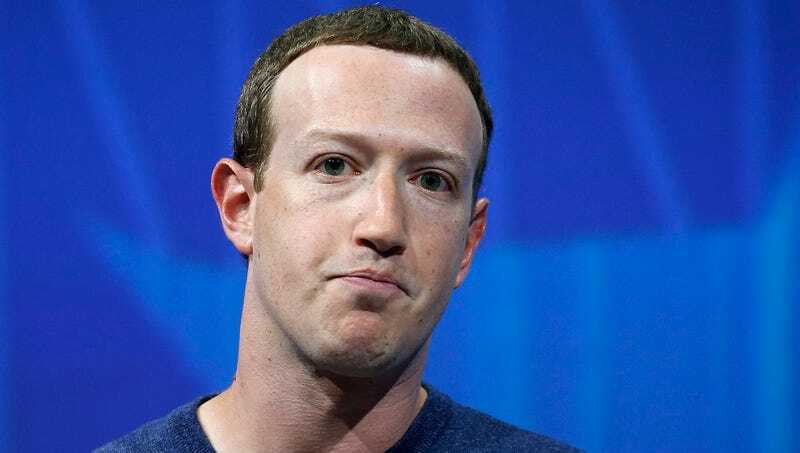 “Lies and harassment have absolutely no place on Facebook, and we want to express our deep regret at offering someone like Mark Zuckerberg a space to spread his clearly abhorrent views,” said Monika Bickert, Facebook’s head of global policy management, adding that the company wanted to clarify any lingering doubt over its previous statements by issuing a full-throated condemnation of Mark Zuckerberg. “While someone’s intent isn’t always clear, there are some kinds of speech that are plainly beyond the pale and only meant to hurt or defame, and that’s obviously the case when we look at the types of things Mark Zuckerberg says. We support free speech, but there is a limit to First Amendment rights, and that limit is Mark. Providing Mark Zuckerberg a platform goes against all the values upon which Facebook was founded.” Bickert added that Facebook’s policy team was working around the clock to delete hundreds of thousands of offensive posts made or shared by Mark Zuckerberg.